The Burton Blunt has been around for a while but has evolved over the years. It’s a pretty decent entry level good conditions ride for the aspiring freestyle rider but it’s not ideal if you ride in medium to hard snow. Other than a few tweaks not much has changed for the 2017 Burton Blunt over the 2016 and the Flying V camber profile (hybrid rocker) is much more preferred over the old Flat Top (flat to rocker). 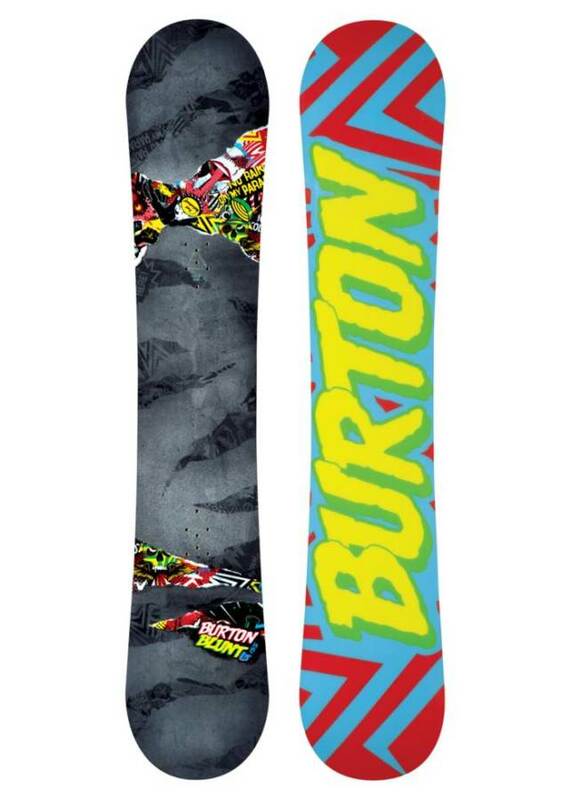 So the 2016 and 2017 Burton Blunt changed up the camber profile which changed the personality of the ride. It went from Flat Top (flat to rocker) to Flying V (hybrid rocker). Approximate Weight: Feels fine and normal. On Snow Feel: So the stable feel underfoot isn’t the same anymore and it’s a little looser. In soft snow, it’s stable enough but in the harder snow, it’s not as stable and wants to spin on you when you flat base or one foot off the chair. 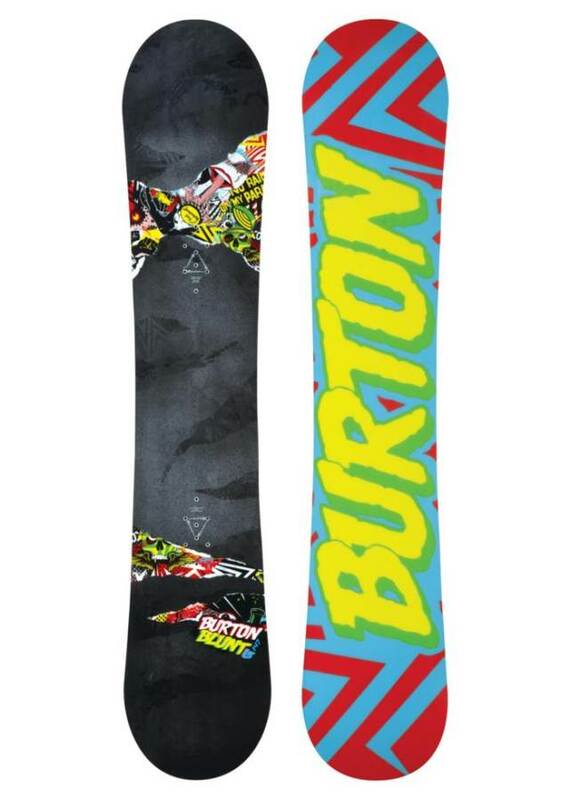 Despite that, you get a more poppy ride that Burton’s hybrid rocker provides. 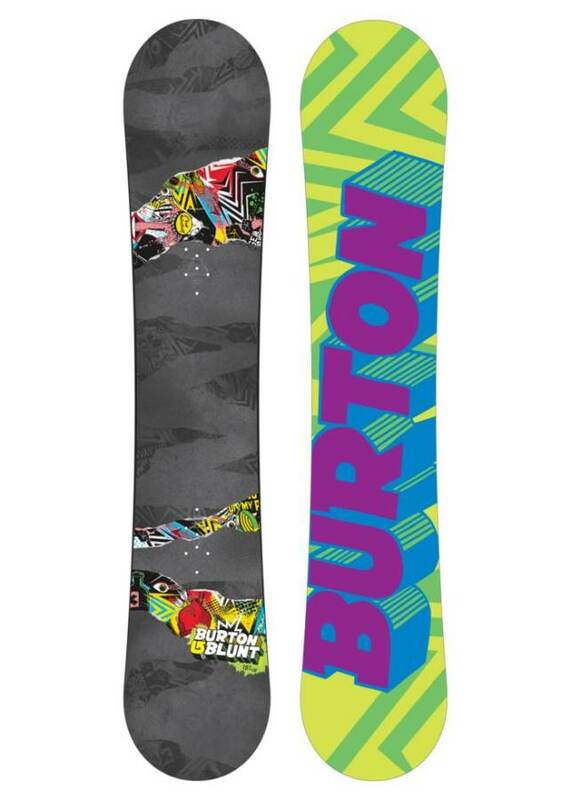 It’s more fun to jump, butter and carve with now. Powder: It’s a twin so it’s not great for directional powder riding but it’s not difficult to ride powder with a centered stance. Turn Initiation and Carving: So the turn initiation is much more lively and fun now that there is some camber in the tip/tail. Flat Top is pretty boring when turning as there is no spring. It turns easy like before but now if you want to lay into a harder carving turn it’s a little more doable. 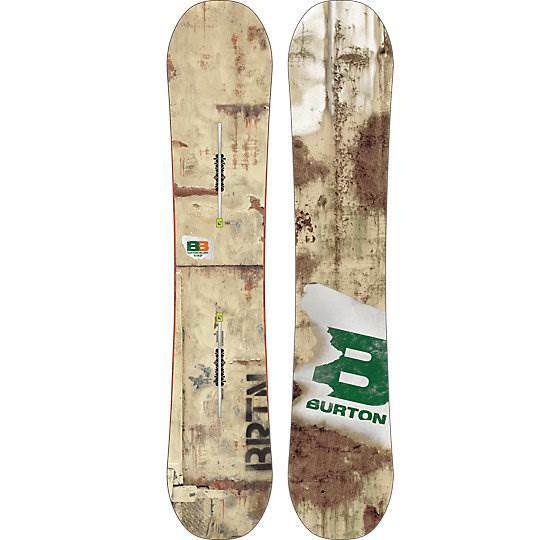 It’s still not like Burton Camber boards but it’s got more fun than before while also being fun/easy to butter and forgiving. Speed: Nothing to write home about but it’s more of a park oriented board. Still, it can handle the mountain if you don’t expect to go out and make high-speed carving turns. Uneven Terrain: Great in the perfect snow to the messy end of the day snow. Edge Hold: The Frost Bite edge hold tech doesn’t really add much to the grip of the ride and it’s not ideal when the snow starts to firm up. The edge can easily slip out from underneath you if you hit a hard patch. Would love to see more edge hold because it’s pretty critical to have confidence inspiring grip when learning to ride. Especially when conditions get a bit hard. Flex: The flex is similar to the flat top but it’s got much more play in it from tip to tail now that it’s got Flying V tech. 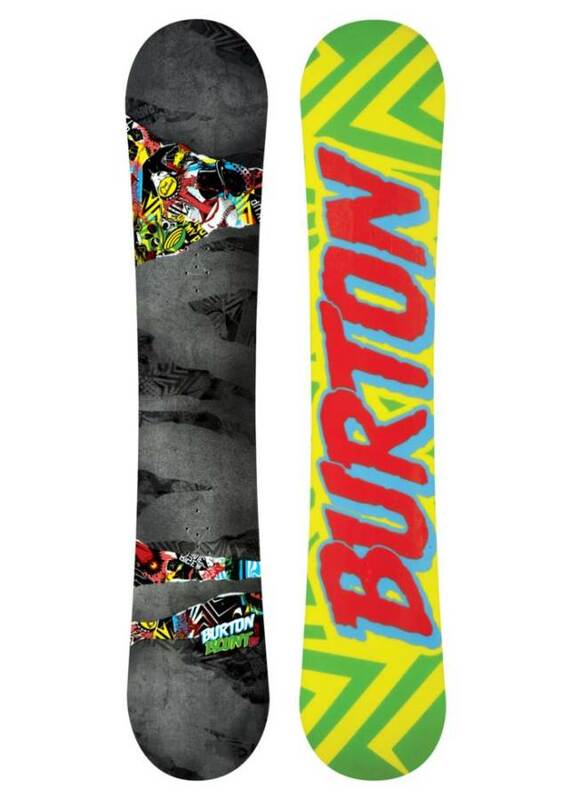 Super fun to butter/press and it has a much more fun/snappy return out of the tip and tail so it’s a nice improvement. Switch: It’s a twin so pretty much perfect either way. The only shape better is an asymmetrical twin. Jibbing: Not a bad jibber. Pipe: There isn’t enough edge hold and stability for an icy pipe but it’s not bad if it’s soft to slushy. Jumps: The camber profile changed up the pop and made it much better to ollie and hit kickers than the old flat top ride. 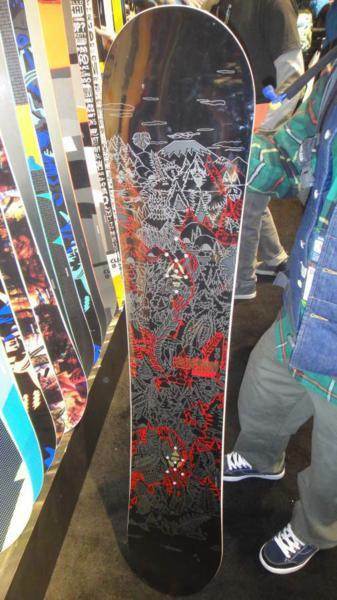 So overall this is a fun good condition park twin at a reasonable price. 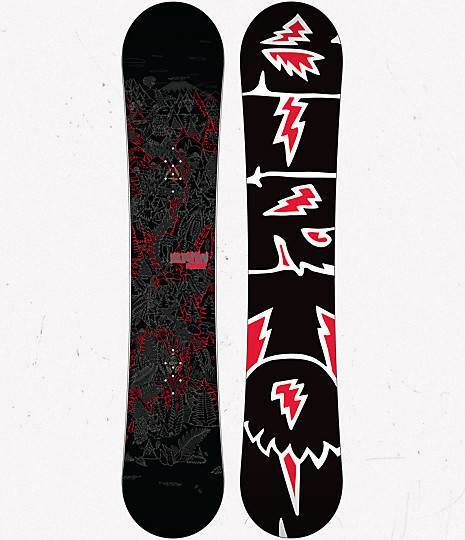 If it had a little more edge hold it would be a fun all conditions ride. 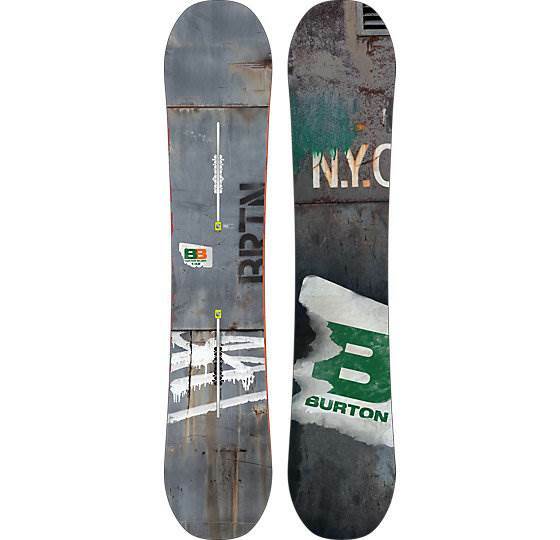 2015 and Below Burton Blunt Snowboard Review. 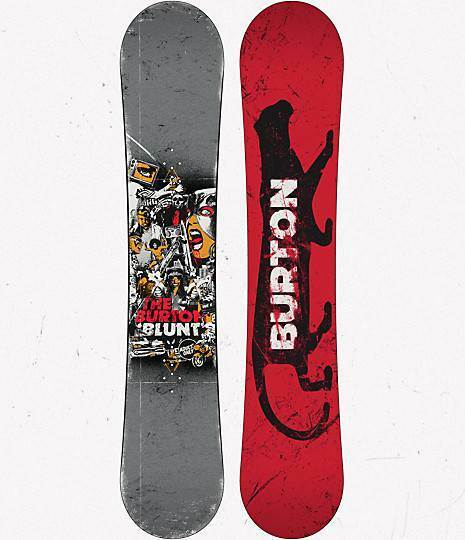 The Burton Blunt went from Camber to what Burton Calls V-Rocker and they have added a new Flat to Rocker design to now. 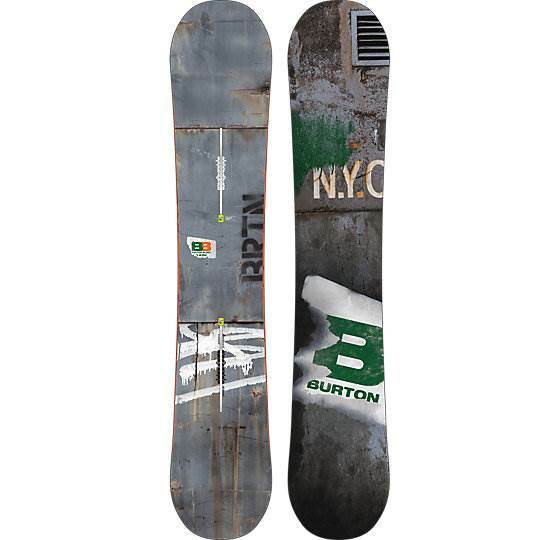 The Burton blunt is incredibly forgiving/catch free and is a cheap entry level park board. 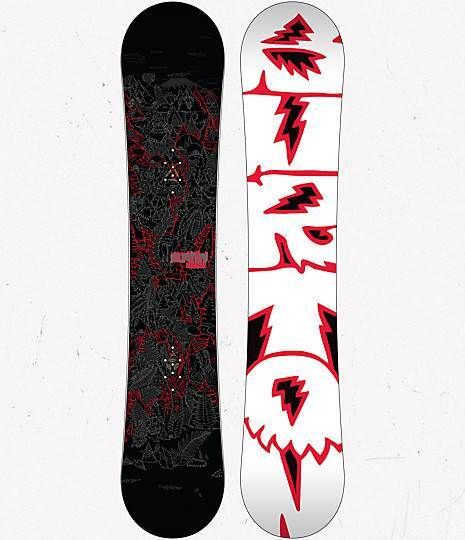 The ride is fun and very playful but it’s missing the edge hold for an all conditions ride that many hybrid to rocker boards have these days. The 2015 Burton Blunt has the same shape but a few upgrades that make the ride a little better. 1. A lighter snappier core that will give the ride a little more pop and be a little easier on your foot when riding the chair. 2. A better base that isn’t extruded. It’s sintered. it doesn’t mean it blows doors on the old extruded base because it’s not a top notch sintered base but it is an improvement. It just means that with a good wax job it will glide a little longer in the flats and pick up speed a little easier. Conditions: Hard Sierra snow with only a few patches of good snow here and there. 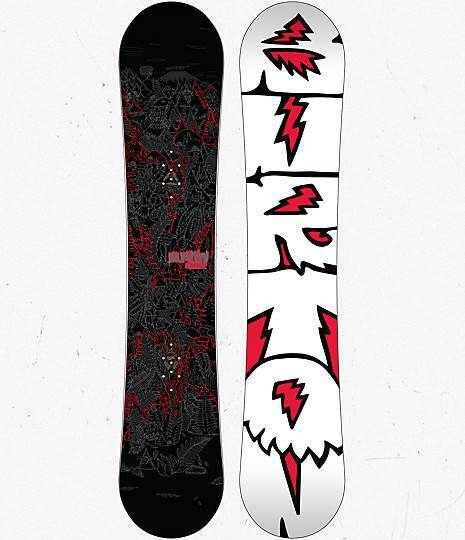 On Snow Feel: It is a little more stable at moderate speeds due to the less aggressive rocker curve they call Flat Top. In a lot of ways you could call this flat to rocker but it still has a lot of continuous rocker characteristics that make the board a little less stable than you would think. However in the park you will find this to be a friendly board for what most want to do there. 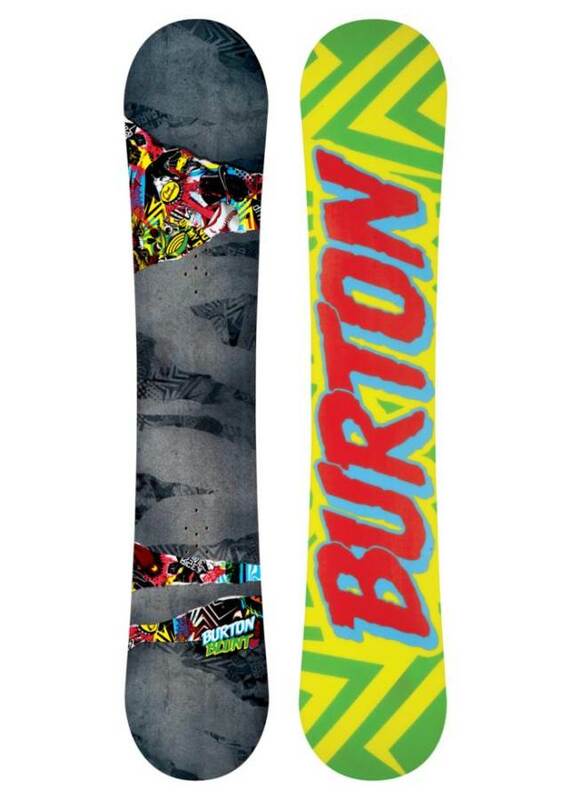 Just don’t get this thinking you want to tackle the whole mountain, learn to carve or really get a big ollie going. It’s a forgiving catch free ride. Powder: No powder to speak of but I’m sure it will float like all flat to rocker bordering on continuous rocker twins do. Very good compared to boards that are mostly camber and camber. Very good for learning to ride in powder for a centered stance. Turn Initiation and Carving: Its easy edge to edge and pretty forgiving for making small to medium turns. 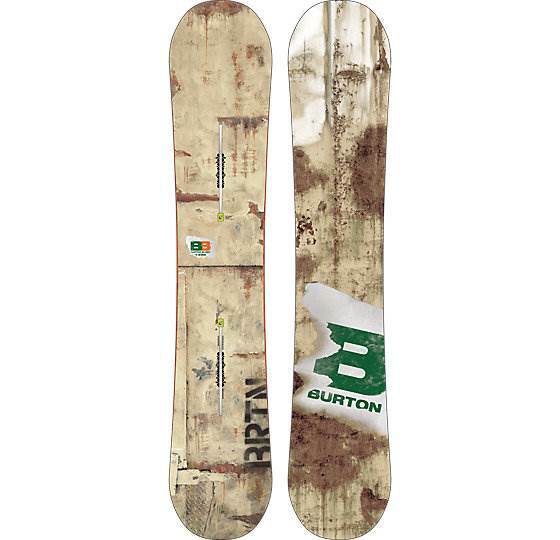 Worthless on a carve and very washy. You have to check your self on wider radius turns as well. 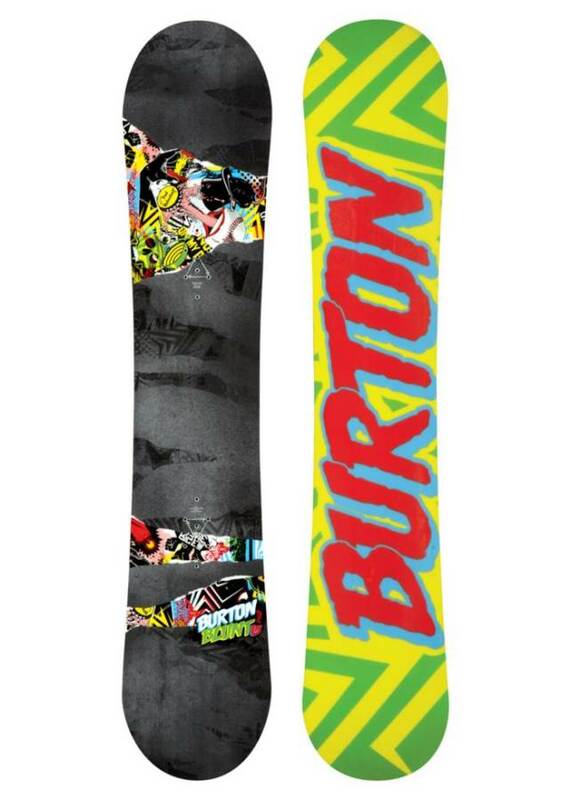 Speed: The base is extruded which means it’s sturdy and easy to maintain but doesn’t ride as fast as sintered bases. 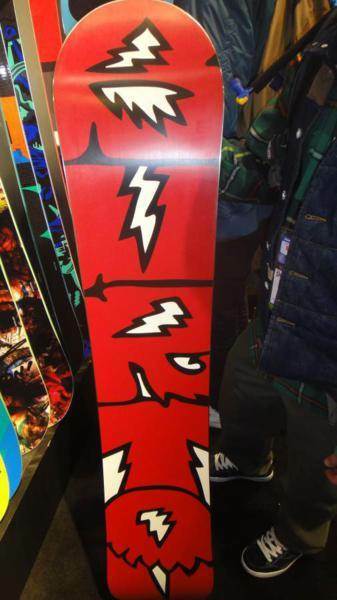 This is more stable than Burtons V-Rocker and arguably their Flying V-Rocker as well but it’s still not a bomber board by any means. It keeps its speed ok but it’s not the best for getting through a long flat cat track. 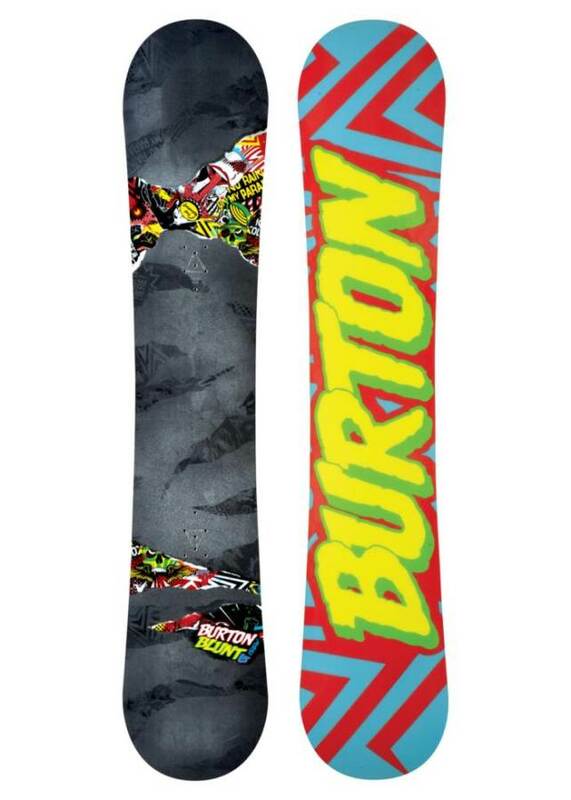 The 2015’s sintered base is going to keep it’s speed a little better in a flat cat track and pick up speed a little quicker on your way to a kicker if it’s waxed well. If it isn’t waxed well you probably won’t know the difference. Uneven Terrain: Burton’s boards know how to flex and keep their flex. One quality about Burton is their incredibly forgiving boards for dealing with bumpy snow. 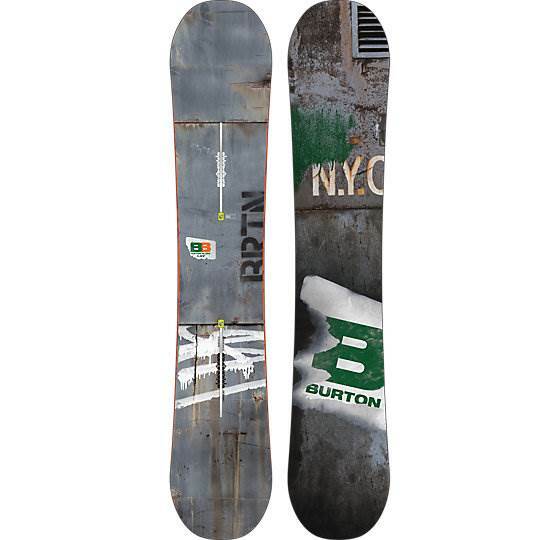 Pair this up with Burton EST or RE:Flex bindings and you have a very shock absorbent set up. Edge Hold: Most boards with rocker in the profile need extra edge hold so they have what was called pressure edge distribution or now it’s called “Frostbite Edes”. 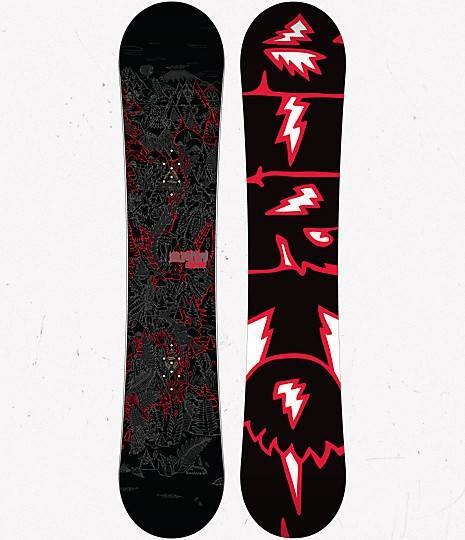 It’s very mellow and they push out less than a millimeter at each foot to give you a little more grip. We found this to be better than a regular side cut but we’d like to see a wider or longer extension of what they call frostbite edges. If this had a bit more edge hold this could be a much better all condition ride. Instead its better to take this out when the conditions are good. Flex: Very mellow flex that is very easy to butter. 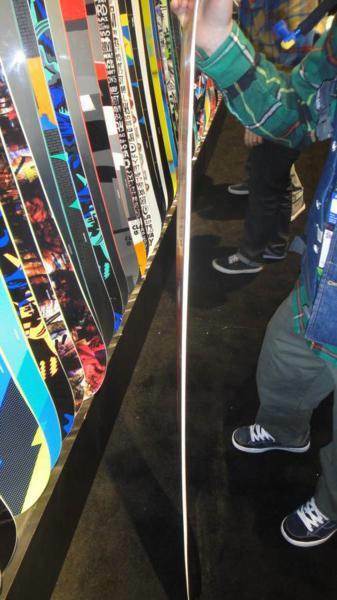 I was on Re:Flex bindings but with EST it would be even easier. Switch: Same way either direction. 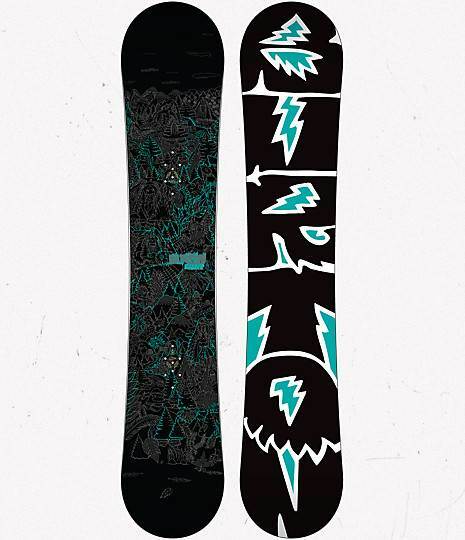 Jibbing: For riding rails and hitting jibs the extruded base is easier on the average rider. I’m not a good jibber but I felt more at home here than I did everywhere else. Pipe: I wasn’t confident enough with the edge hold to take it in the pipe. 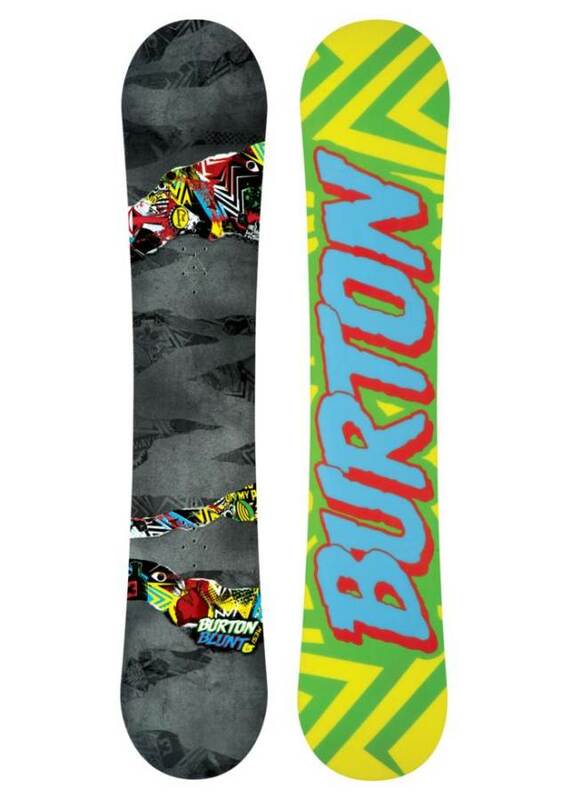 Jumps: Not bad for an ollie but it doesn’t have the spring that V-Rocker and Flying V-Rocker Burton boards do. It’s got an easy approach to a kicker and it feels pretty stable here. This is not ideal if you are a heavier rider so you want to follow the weight recommendations rather closely. So if you are looking for a low budget rocker park board to ride in good conditions this might work for you. 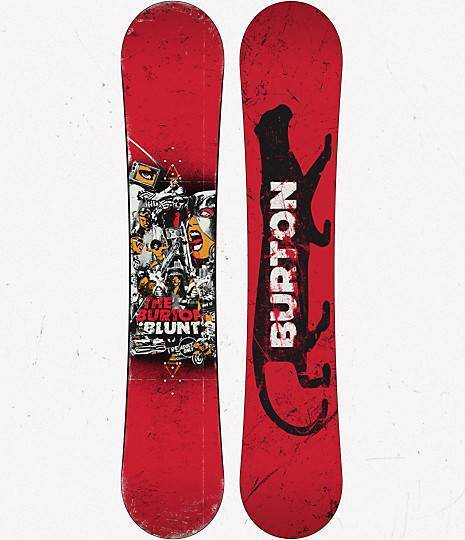 We try to get as many images of the Burton Blunt, but forgive us if they're not all there.